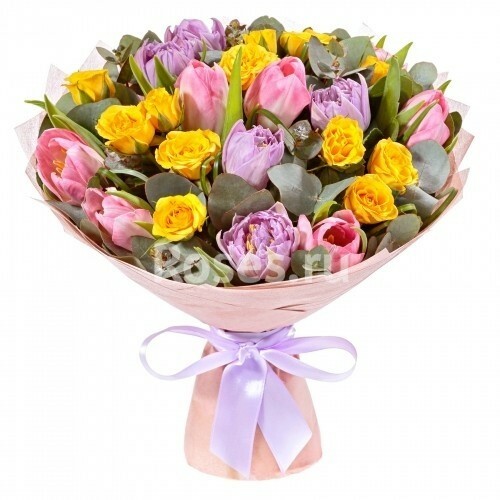 Spring like lovely pink and purple tulips, sunny bush roses together with lush green beargrass and salal are the perfect reason for love expression. 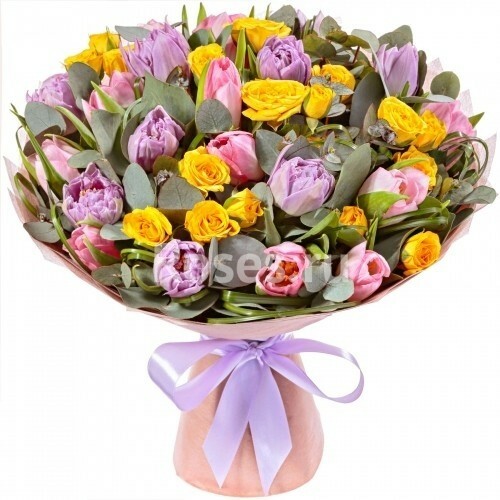 Please your loved ones with warm emotions, sweet flavor and tenderness of the flowers. Yellow Spray rose 2 pc. Yellow Spray rose 3 pc. 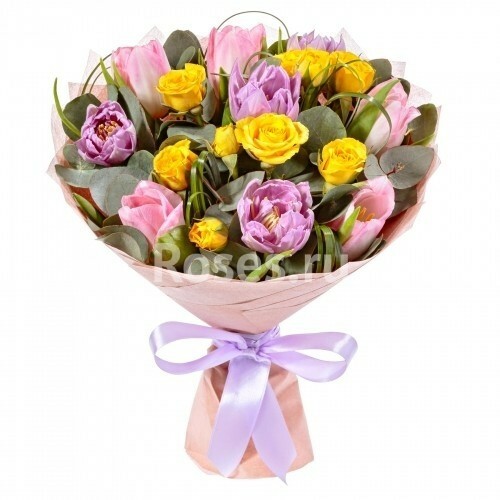 Yellow Spray rose 5 pc.